1st item: 14K white gold round clip ornament with oval opal, square cut emerald and single cut diamond, Mounting marked S.P. 1 1/4 " diameter, 4.8 grams. Gold tested, not marked. Mid-20th century. 2nd item: 10K yellow gold blue enamel school lapel pin, dated "'03" and lettered "W. H. S.". Not marked but tested 10K. 5/8" x 5/8", 1.6 grams. Early 20th century. 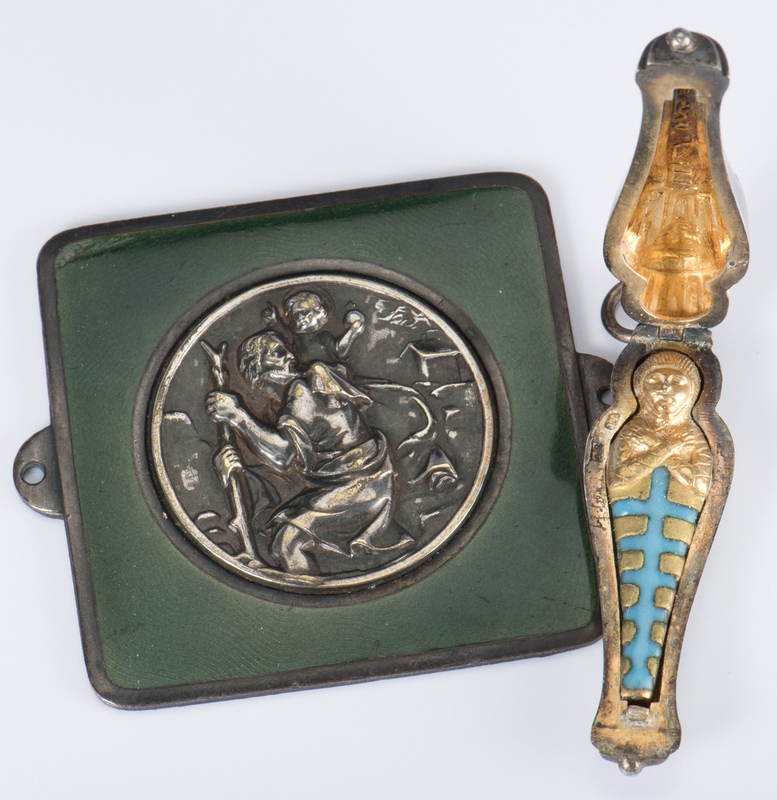 3rd item: Bronze plaque with silver and partial gilt coin depicting St. Christopher figure carrying Christ child on shoulders, green enamel surround, not marked. 1 3/4" square. Late 19th century. 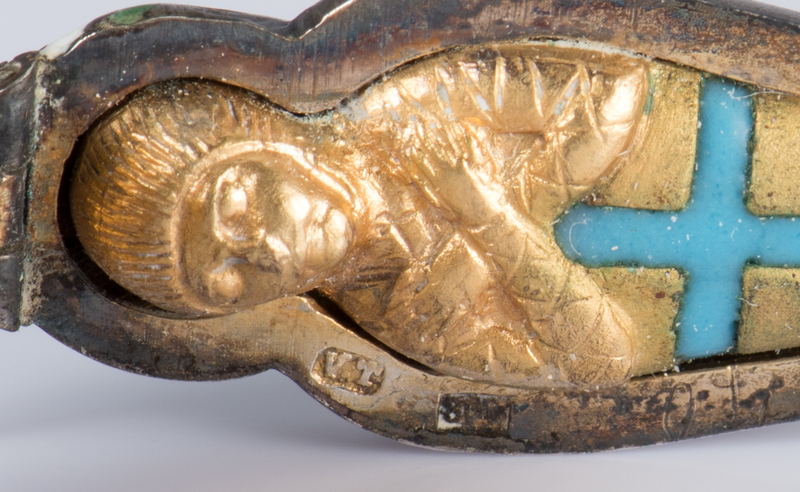 4th item: 800 silver enamel hinged sarcophagus pendant with gilt and enameled mummy inside, marked "V.T 800", 1 1/2" L, 0.225 oz troy. Provenance: East Tennessee collection, by descent from Col. Edwin V. Hill, M.D., deceased 1969. CONDITION: 1st-2nd items: Very good condition. 3rd item: 1/4" x 1/16" enamel loss upper left corner. Surface grime on back. 4th item: Good condition with some oxidation to interior.